Mother's Day is the time to warm mom with your pure love for her and make her feel special for the fact that she could show you the light of this world. It is that day when you should hand over to her something very personal, something that is a product of your own labour. Take a look at these assistive craft ideas provided here. 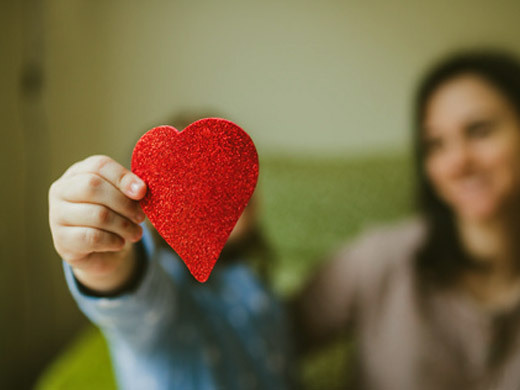 Use these splendid craftmaking tips to make awesome crafts themed to Mother's Day and gift them to mom or even use for decorating your home during the occassion. Construct fabulous crafts using these easy, stepwise instructions and present them to your mom to make her smile. 1) Craft sticks - 5. 7) A large piece of cardboard. 8) A large sheet of paper (of a light colour). 1) Glue the craft sticks together to form a house shape. 2) Cover the working surface with a newspaper. Keep the craft stick house over it and paint the framework well. Let the paint dry for some time. 3) After the paint dries, stick the beads/sea shells/buttons on the frame of the house to decorate it well. 4) Paste the sheet of paper onto the cardboard strip. Allow it to dry for some time. 5) Paste the craft stick frame onto the side of the cardboard strip pasted with paper. Let the glue dry. 6) Afterwards, cut out the extra portion of cardboard around the framework to get a proper house shape. 7) Write some nice message on the blank portion of paper within the framework. 8) Glue a hook on the back of the framework. Let it dry. 9) Hang the craft stick wall hanging from a place where your mom can see it. Give her a nice surprise! 1) Old photographs/handmade picture featuring your mother. 1) Cut out around the edges of the people you want to use. 2) Place the back of the picture over a magnetic sheet. Then cut around the pictures again. 3) Stick the frame over your refrigerator/iron safe/metallic almirah. 1) A colourful piece of fabric. 2) Large beads (with big holes). 1) Cut the fabric into a strip of dimensions 24" by 2". 2) Place the beads in a beautiful way, as if to form a necklace. 3) Pass the fabric strip through the beads. Use needle nose pliers to pull, if needed. Space beads according to your taste. 4) Tie the ends of the fabric together! Gift the necklace to your mom as a Mother's Day gift.